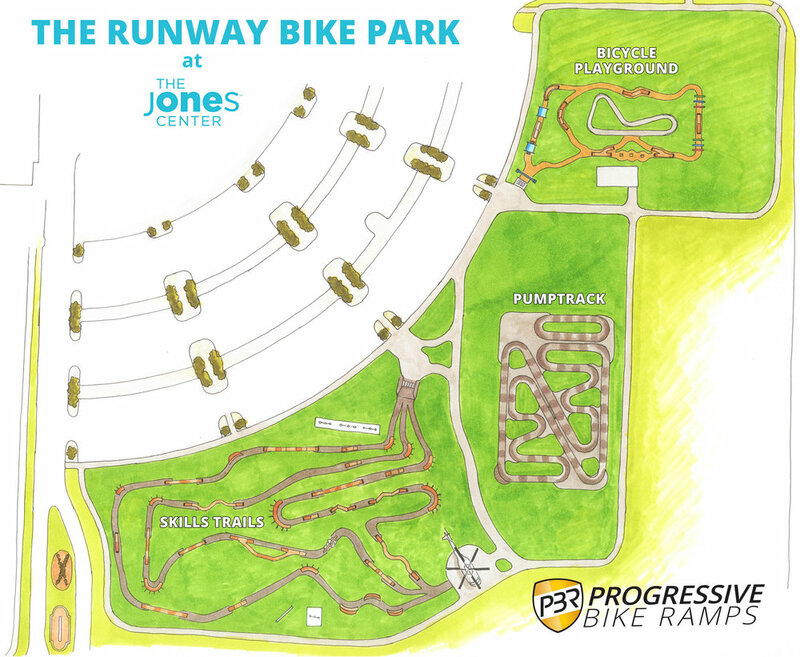 Runway Bike Park is a 2.75 acre state-of-the-art outdoor bicycle skills training area located at The Jones Center. 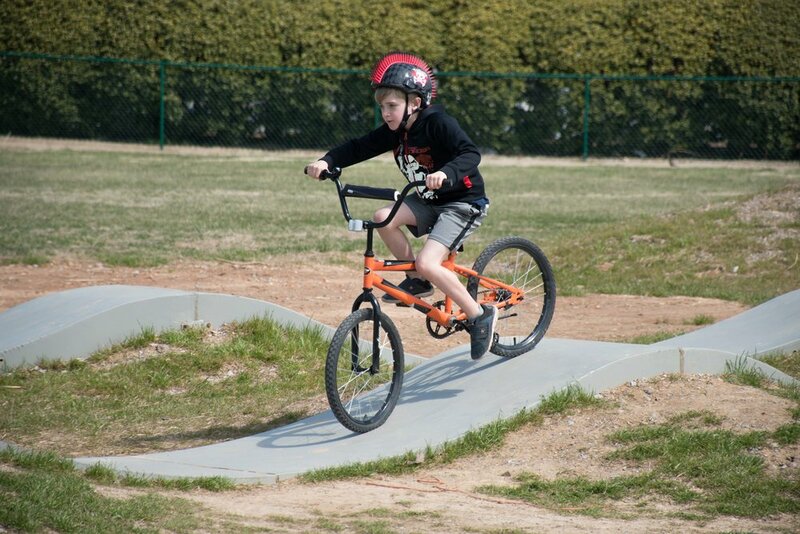 It’s comprised of 3 separate areas: Pump Track (largest asphalt track in North America), Skills Course, and Bicycle Playground. 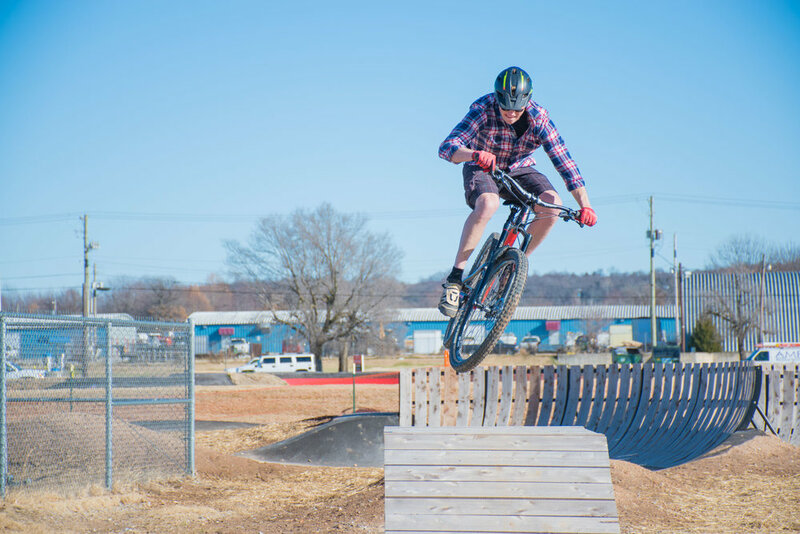 The bike park was conceived out of an idea to give a training ground for aspiring mountain bikers in the flourishing Oz Trails network of mountain bike trails in Northwest Arkansas. 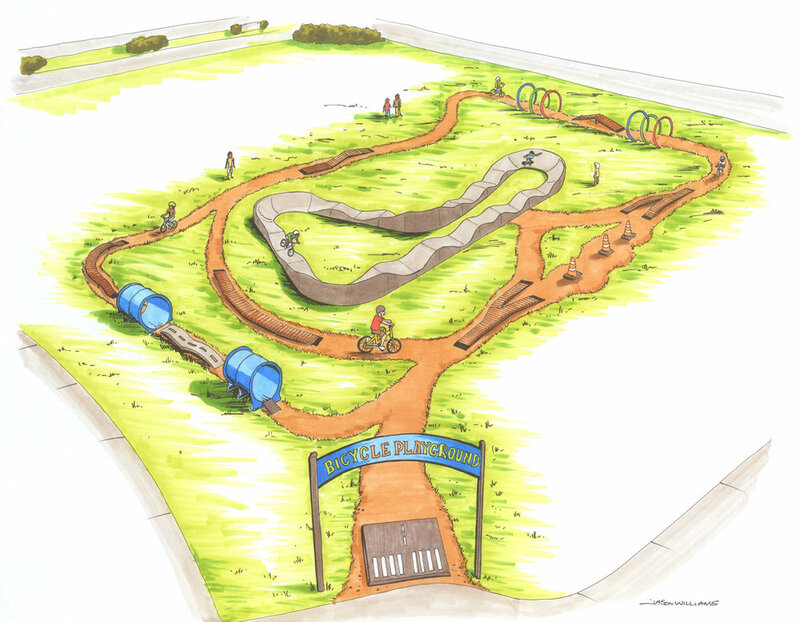 Runway Bike Park was made possible through a grant from the Walton Family Foundation. 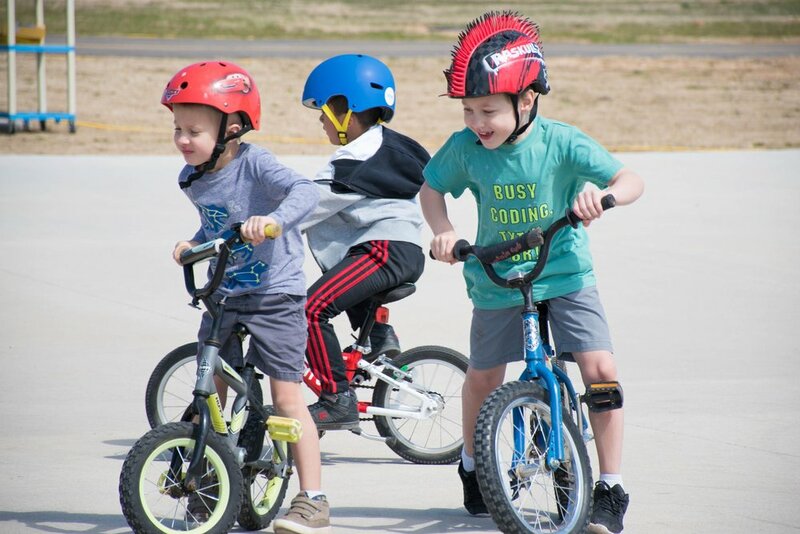 We offer a variety of programs at Runway Bike Park throughout the year for all ages. We are always adding additional events and activities, so follow us @runwaybikepark on Instagram, Facebook, and Twitter to stay updated. Thank you to Clif Bar for being our 2019 presenting program sponsor. A pump track is designed for all things on wheels. From mountain bikes to bmx’s and skateboards a pump track is a playground for all wheels. By combining rolling jumps with turns they are accessible for all. Teaching the basic skills of carrying momentum, balance and speed by using your arms and legs to pump your bike/board/scooter around the track. As you get better the tracks are designed to provide more challenges for you with no changes to the construction. A feature that a 5 year old can roll through can be used as a gap jump for a professional. Pump tracks provide a safe and fun environment for all. 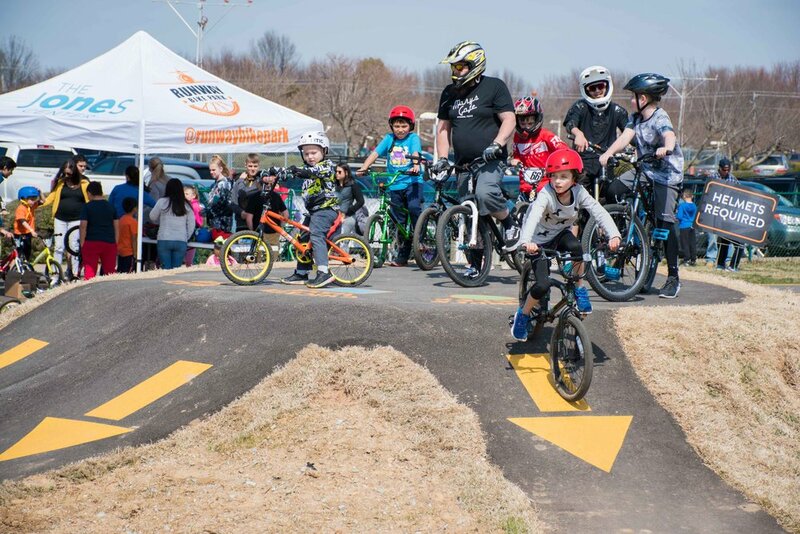 They have helped to breed Olympians and world champions in DH Mountain Biking and BMX racing and have brought communities together to enjoy a fun filled activity together. 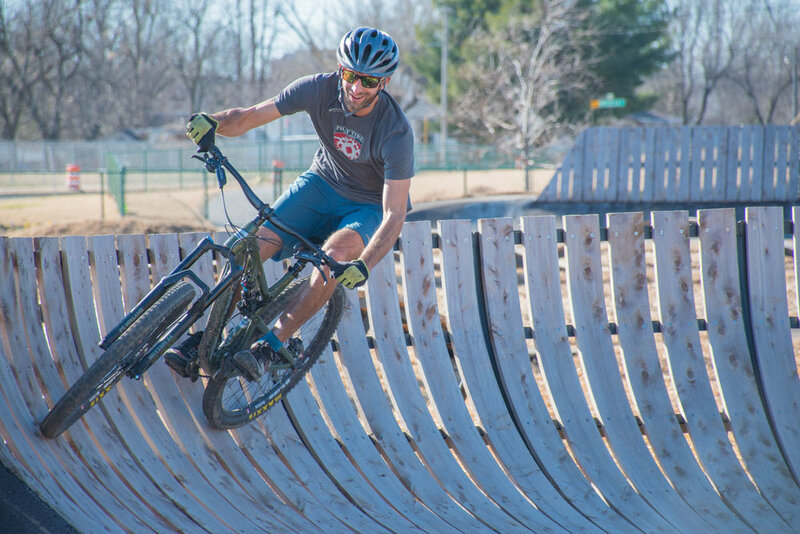 Designed with ultra-beginners in mind, the Bicycle Playground is comprised of low-height, entry-level skill features that allow a beginner to better his or her skills before progressing to more advanced lines. The skills course is comprised of 3 different asphalt skill lines with various wooden rollers and berms. 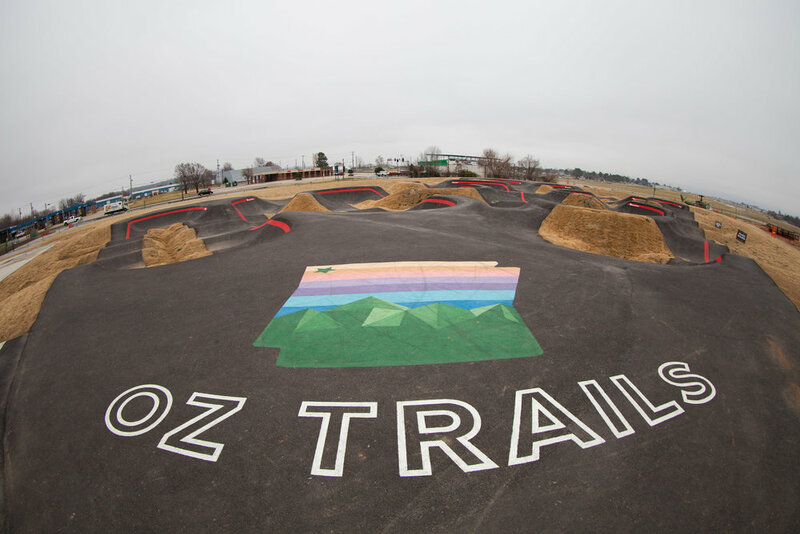 The course contains a beginner, intermediate, and advanced line that allows an aspiring mountain biker to progress on an asphalt track before hitting the Oz Trails across Northwest Arkansas.